We sit down with John Connolly, author of the Charlie Parker series of crime thrillers, and the wonderful The Book of Lost Things. Dave Hanratty, HeadStuff music editor, is on co-host duties. This conversation does begin with curtains, and I don’t mean that it has a grand opening like a theatre show, I mean it actually begins with us talking about curtains, but really, don’t let that stop you. We quickly move onto much more podcast friendly subjects like books, music, writing, touring and even religion. John Connolly talks about touring, his readers, other writers and we learn about what keeps him writing, and what, to him, constitutes a good day’s work. Contrary to that, he also tells us about his doubts as a writer, doubts, he says, that never go away. He comes across as a very honest, genuine man who knows who he is and where he is, I mean that both physically and metaphorically. 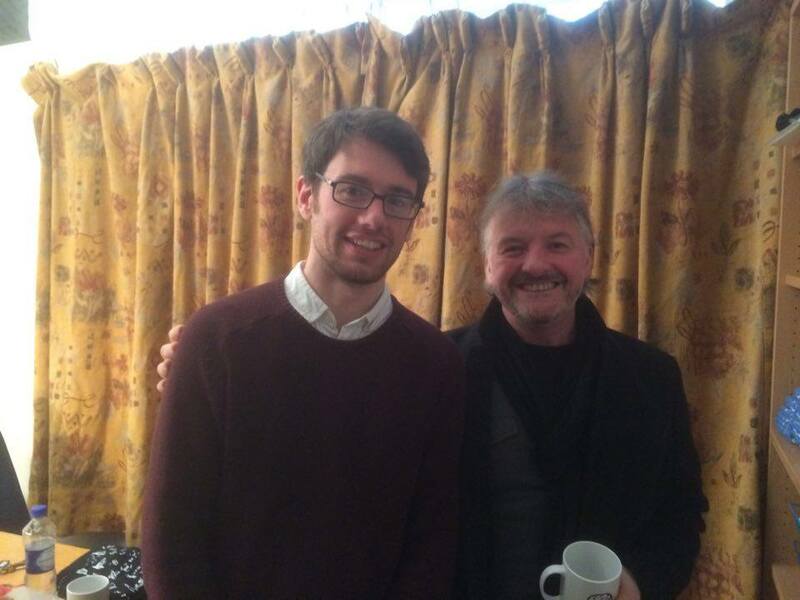 There are also interviews with John Connolly on HeadStuff from about a year ago, one mainly about music and one about literature. Alan on the left, John Connolly on the right holding a HeadStuff mug. We are standing in front of the curtains that John describes and we talk about for just a minute too long. Sound by Wilkins Sound Systems | Theme by Video Blue | Art by Mikey Fleming.